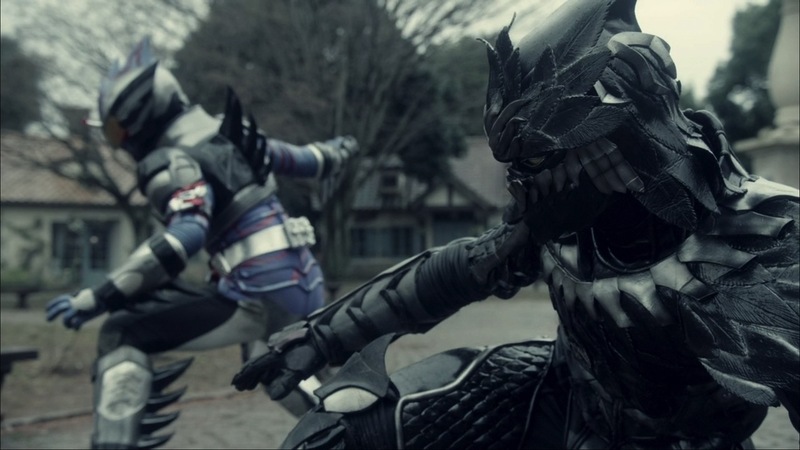 For tokusatsu fans one of the most pleasant surprises of 2016 was Kamen Rider Amazons, the Amazon Prime-exclusive series with an aesthetic loosely derived from 1974’s Kamen Rider Amazon. 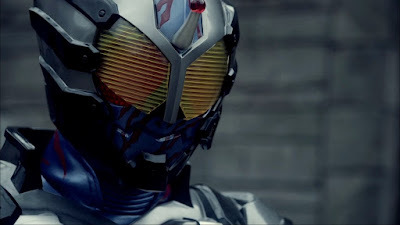 Offering a grittier, less gimmick-driven Kamen Rider, the series quickly became popular and arguably succeeded in areas attempts such as Kamen Rider The First/Next and Kamen Rider Shin had failed. Now after an eight month break (and subsequent TV-airing) the show has returned for a second 13-episode season, taking place sometime after the conclusion of the first season and introducing an all-new cast. However fans need not worry, as Haruka, Jin and all the other previous characters will also be appearing in due course. 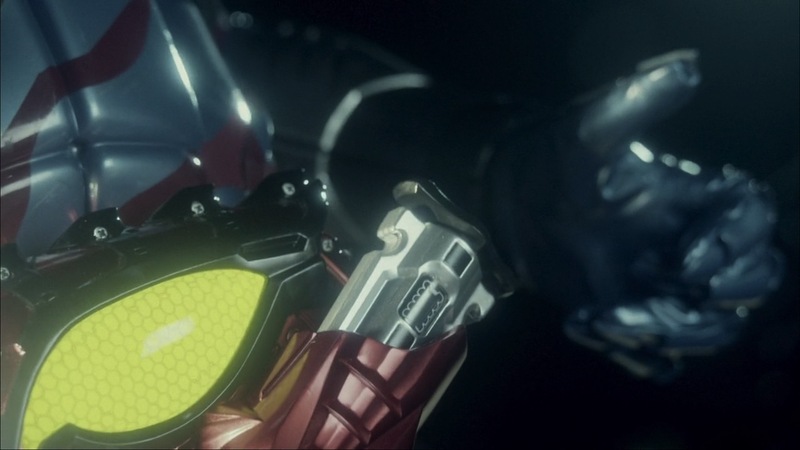 Picking up the alphabetical naming scheme where the previous season left off, Kamen Rider Amazons season two opens with the aptly titled “NEO”. Although Project Tlaloc succeeded in wiping out most of the Amazonz, the threat against humanity is far from over. With humans now turning into Amazonz due to a newly identified contagious type, the Government has put together a new extermination squad to keep the outbreak quiet. Chiriho is a loner, raised by Amazonz as a child before being captured by and eventually escaping Nozoma pharmacy. Since then he hunts Amazonz with a group of youths named Team X, fighting the creatures as Kamen Rider Amazon Neo. Constantly suppressing his urge to eat human flesh, his life changes when he meets Iyu – the first human he’s ever met without thinking about eating them. However in fact Iyu is also an Amazon, fighting alongside the new extermination squad as their own weapon against the creatures. Trailers and various other bits of promotional material have already confirmed the return of the majority of season one’s cast, but that wait is going to be a little longer as the season two premiere focuses almost entirely on the new characters so that parallels can immediately be drawn. While the Nozama Peston Service were a tight, professional unit that treated their Amazon team member like family, Team X are rowdy, hot-headed and treat Chiriho like an outsider. Immediately he’s painted as a sympathetic character – raised by monsters, experimented on and now forced to repress his savage urges while looked down upon by his teammates. The confrontational scene between them cements this position and shows just how dysfunctional Team X are, already suggesting that the tensions between them are going to eventually implode. These characters aren’t at all likeable, and given that’s the intention it’s unlikely that many of them will be sticking around for too long. Chiriho right now feels very much like early-series Haruka – both in terms of background and personality. His Amazon upbringing hasn’t really come into play yet but it’ll be interesting to how that sets him apart from Haruka, who unlike him was a Nozoma lab rat from the beginning. Neo’s introduction also shown that he’s bouts of feral frenzy too, which is something he seems all too aware of and does his best to deny. Surrounded by so many louder personalities Chiriho might feel a bit muted in this episode, but how Haruka developed from this was a pivotal part of season one so in meeting Iyu one hopes Chihiro can do the same. On the flipside of the popular, social-media savvy Team X you have 4C (Competitive Creatures Control Center), a joint venture between the Government and Nozoma and the first opportunity to see a few returning faces. 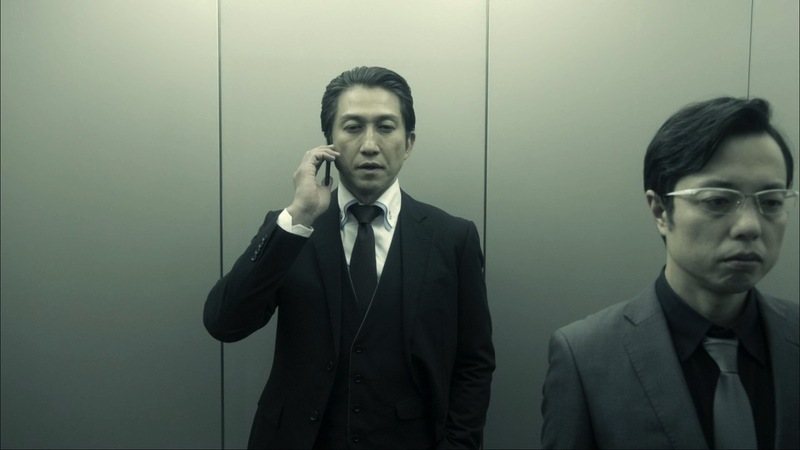 Yugo Tachibana is now heading the venture, with Shogo Kano working under him. What's happened to Reika? Only time will tell. Meanwhile Fuku is now working as part of their extermination team alongside Takeshi Kurosaki, a man with some very obvious anger issues. While this team takes the more professional line they’re still very different from the Peston Service, with their actions and interactions cold and clinical. Their Amazon feels even more like a tool than Chihiro does, which further emphasises that Mamoru was clearly the exception rather than the rule. 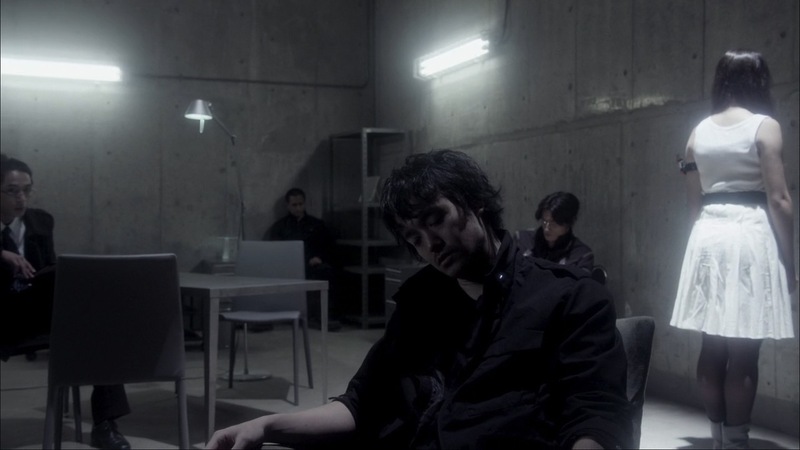 Sadly Iyu does not get off to a great start in terms of character establishment, representing the done to death trope of the obedient emotional-less girl who also happens to be a proficient killer. It’s a pretty basic character type, so hopefully Amazons will be able to flesh it out a bit more with the revelation of her being a Sigma type Amazon (i.e. she’s dead). The fact she doesn’t trigger Chihiro’s Amazon-sense was a nice little tidbit in regards to this, and hopefully will be something that comes into play more often as more Amazons are introduced. In meeting Iyu, Chihiro has found someone he can actually be himself around without the urge to chow down on them, so it’s unsurprising that he’s drawn to her the way he is. Their introductory scene does linger a bit longer than needed, but it does add to the weirdness of the whole situation – which from Chihiro’s point of view seems perfectly innocent. The action still has the general savagery of the first season (with some blood-gushing limb removal thrown in early on for good measure) but there definitely feels like a drive to make things a bit more gimmick-driven here. Not only does Amazon Neo use an unintelligible new belt requiring a syringe-like trinket to work, but the suit adds an extra layer of technological armour over his organic Amazon body. The combination of the blue and silver works really well, as does the yellow visor resting over the traditional red compound eyes. Neo’s transformation is a fairly extreme one, with him continually bursting with red explosions for a short time even afterwards. While the flashiness of it all can’t be disputed, it frequently obscures early parts of his fight sequences to annoying effect – so much so that almost feels intentional. Thankfully things get a little more natural with Iyu, who despite having her own new trinket sticks more rigidly the more organic feel of the show. 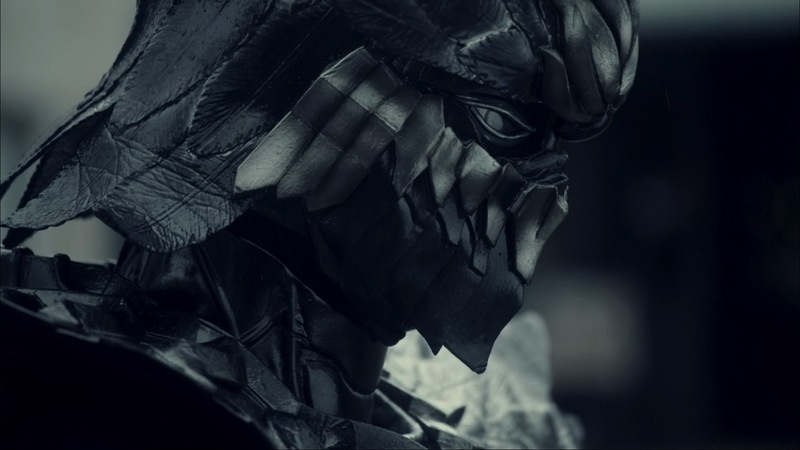 The Crow Amazon suit is a nice change from the standard reptilian design at the forefront of Amazons, striking out in the same way that Mamoru’s Mole Amazon form had done in the previous season. The co-operative battle against bridezilla Amazon that follows her transformation is excellent, boasting some really beautiful choreography from all three suit actors in addition to the great location and cinematography. As a closing note, new end theme “Die Sit Down” certainly isn’t as good as “Armor Zone” but at least it carries on its pun-based title legacy. Whereas “Armor Zone” was of course “Amazon”, “Die Set Down” is too obvious to not be a play on “Dai Setsudan” – the finishing move of the original Kamen Rider Amazon. Even if the song isn't all that great, that's a good bad pun that everyone can enjoy! 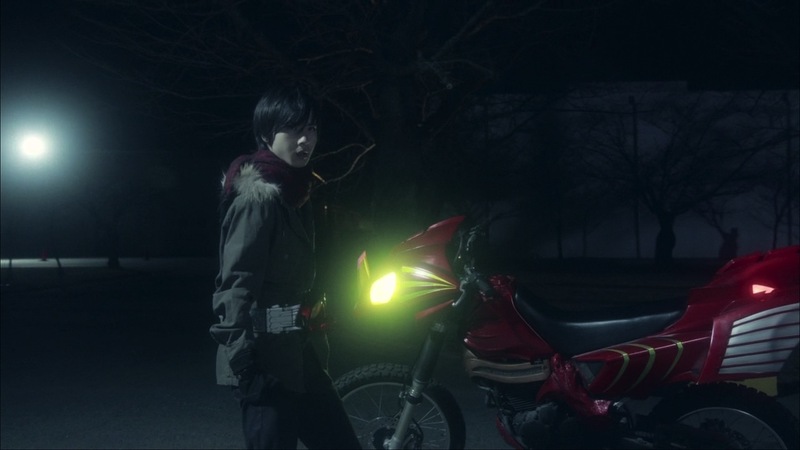 Kamen Rider Amazons season two’s premiere doesn’t quite pack the same punch as the show’s very first episode, but it does do a pretty good job of pulling you back into its bloodthirsty world. The episode doesn’t offer too much on our new leads, but provides a fair bit of context and plenty of set-up for this brave new world of contagious Amazons. What sets it back is a focus on either blank slate or just plain unlikeable characters instead of immediately seeing what’s happened since we last left the show, but hopefully that will make their eventual return all the more satisfying. 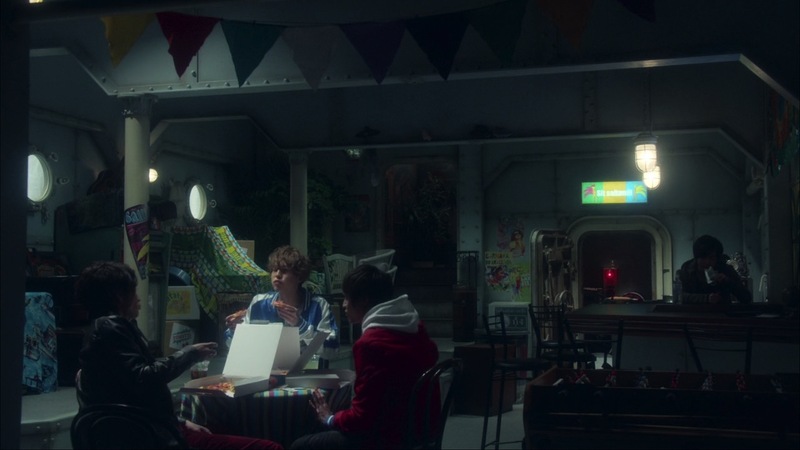 Kamen Rider Ex-Aid has been wonderful so far (and surprisingly dark), but it’s great to have this primeval offshoot back once again as a more visceral alternative. I think the worst offender on episode 1 and 2 so far is the slow pacing and that unnecessary long pause slow motion dramatic shot that hinder the episodes. 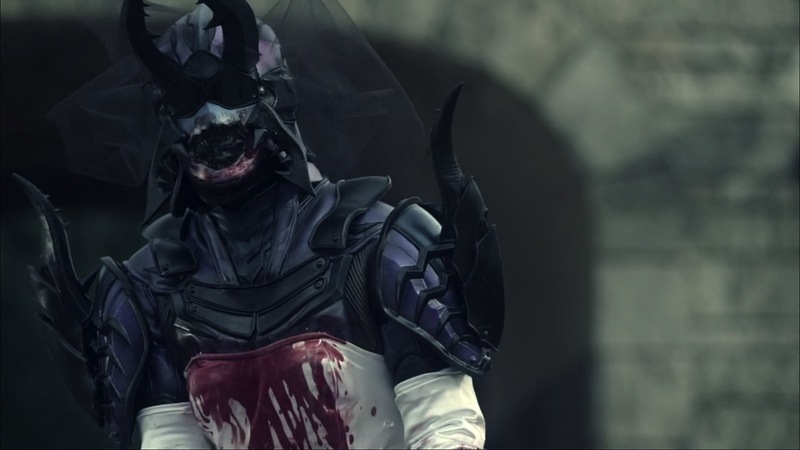 I mean like thr introduction of Iyu is just too long with that slow motion shot until she transform. There is also the last scene where Chihiro touching Iyu's face is just damn too long and they barely interact.